Orders are picked off the pallets in the order picking tunnel on the floor level. Each lane is 2 pallets deep. 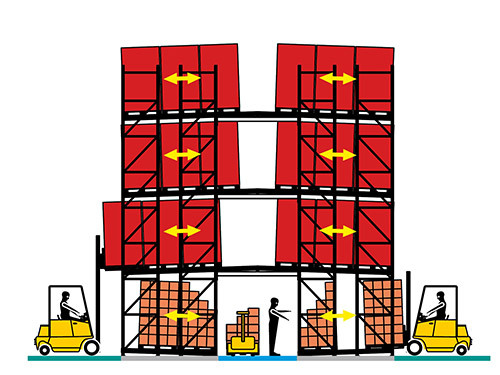 The buffer stock is located on the 3 levels on top in 3 pallet deep push-back lanes. 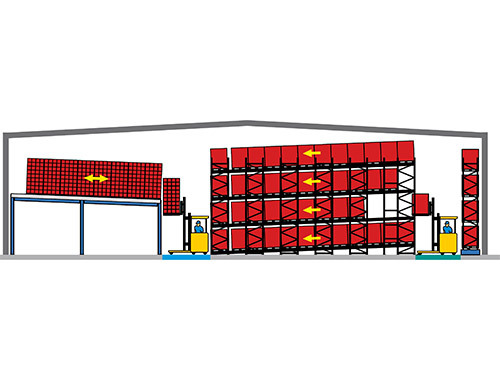 - tunnel construction provides high storage capacity. The company supplies products and services for hospitals and outpatient care. 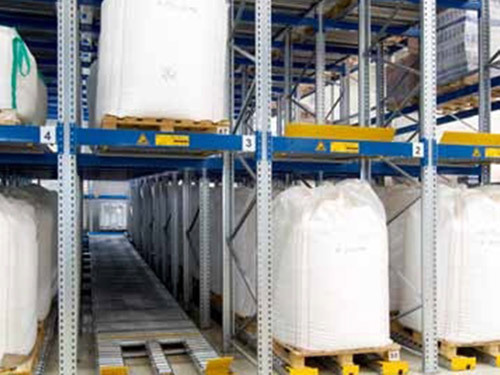 In the production area, a pallet live storage racking serves as buffer store for raw materials in big bags and sacks. 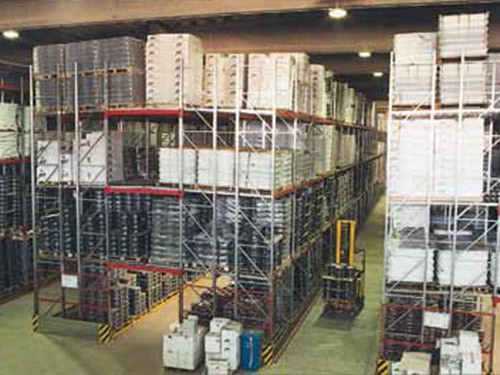 The push-back pallet racking is located on a platform and stocks various types of casks and cans on lanes with a 4% incline. 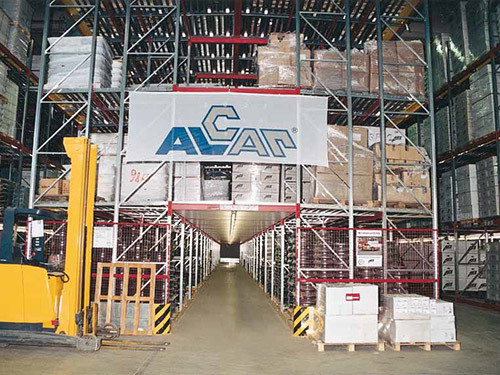 Due to the mezzanine construction, additional storage surface is gained on the ground level. This allowed to integrate underneath a pallet racking installation with spill trays for the storage of hazardous goods. - hazardous goods are stocked close to the production area.